1. Hosts on Router R3 should not be able to access hosts on R2. 2. 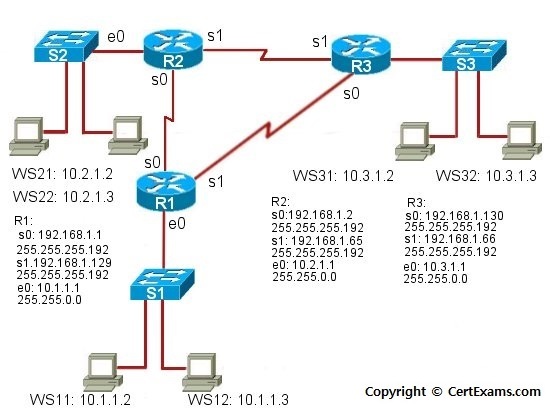 Only WS11 on R1 can access hosts on R2. 3. All other communication is allowed. Use standard access lists with ACL #1. 4. Apply the access-list#1 on serial interfaces s0 and s1.